West Plaza Nails, Salon & Spa, Winner of Kansas City Best's Manicures & Salon 2008,2009 and 2011 is a Salon and Spa in Kansas City, MO offering the very best in personal care and comfort. Our highly trained staff proudly welcome you to our full service urban retreat. 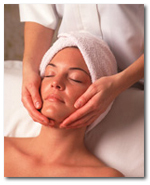 We offer friendly service, professional treatments and high-quality products in a relaxing, comfortable environment. Please click the link below to book your appointment today. *Ask about group pricing and after hours shop availability. © 2019 West Plaza Nails, Salon & Spa, All Rights Reserved. Unauthorized duplication is prohibited.